Tuvaluan is a Polynesian language spoken by the 9,000 inhabitants of the nine atolls of Tuvalu in the Central Pacific, as well as small and growing Tuvaluan communities in Fiji, New Zealand, and Australia. 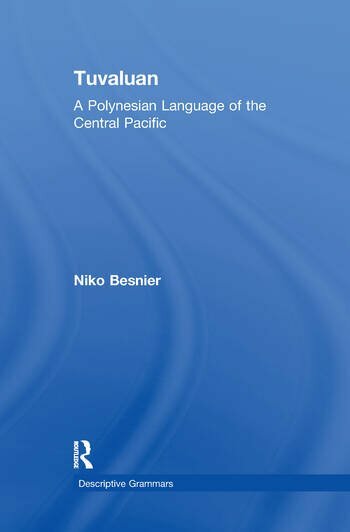 This grammar is the first detailed description of the structure of Tuvaluan, one of the least well-documented languages of Polynesia. Tuvaluan pays particular attention to discourse and sociolinguistics factors at play in the structural organization of the language.